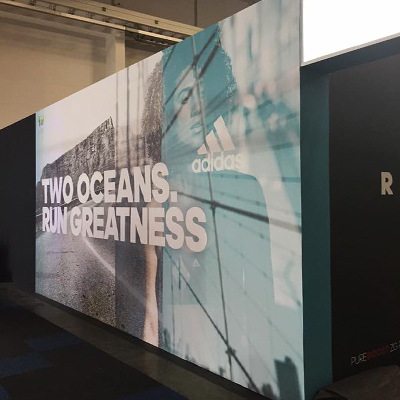 We were delighted once again to be awarded the opportunity to brand the adidas expo stand at The Old Mutual Two Oceans Marathon exhibition last month. 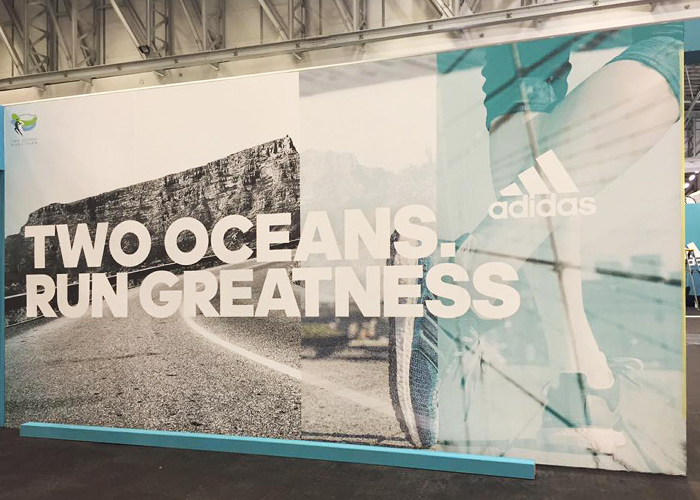 With a tight turnaround time from print to installation completion, our awesome production and installation team ensured we delivered on time to meet client’s brief. 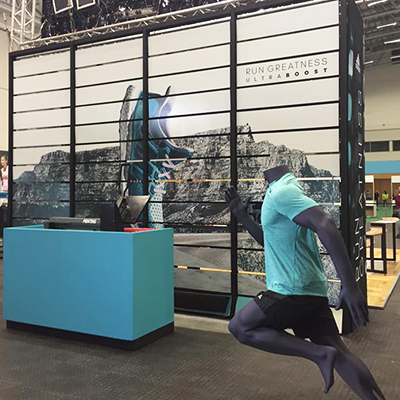 The size of the stand at the exhibition and the end visual result was extremely well received by all the participants and shoppers! 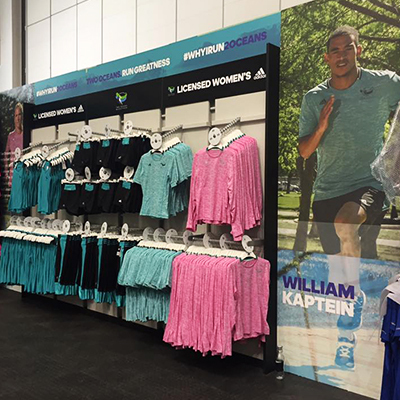 Thank you to our client Kirmack for the opportunity to work on this prestigious event yet again.